Why Smoking is Injurious to Health ? Home Health Why Smoking is Injurious to Health ? ‘Smoking’ , the term used to define the inhalation of smoke produced by burning tobacco in the form of beedi or cigarette. 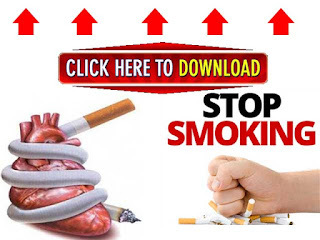 Although it is common knowledge that smoking is bad for our health, it is very common practice in our country Nepal. Cigarettes and beddis are commonly sold and brought in every shop of Nepal in rural Villages too. Today we will discuss the ill effects of smoking on health and also some other aspects of smoking. To start with according to the survey carried out by World Health Organization(WHO) on July 2015. Smoking kills around six million people each every year out of whom five million are active smokers while around 600,000 are passive smokers. Active smokes are the people who smoke the cigarette themselves. Passive smokers are the people who do not smoke but constantly exposed to smoke produced by cigarettes. For example, if there is a smoker in a family, the people who spend time around the active smoker such as children and other members of the family may come under the category of passive smoker. All in all, it’s shame that the laws related to buying and selling cigarettes is as good as none. So lets Stop Smoking . Be a role model to our children, Society and stop them for becoming Passive Smokers and risking their lives as well.